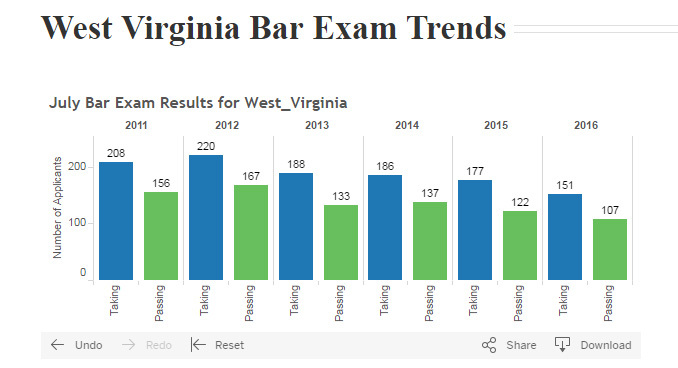 Fewer people are taking and passing, the bar exam in some states. Arkansas, Kansas, Oklahoma and West Virginia showed sharp decreases in the number of people passing exams in July, according to BarExamStats.com. A shortage of rural lawyers has plagued some states, and the statistics give a good example of that phenomenon in those four states. This year 53 people in Kansas took the bar exam, with 42 passing. That's down from 109 taking the 2015 exam and 83 passing and a big drop from 2012 when 225 of the 262 people that took the exam passed. Oklahoma has a similar trend, with 299 people taking the test this year, 203 of them passing, That's down from 210 of 307 passing in 2014 and 323 of 399 passing in 2012. Arkansas, which did not report the number of people taking the test the past two years, had 132 pass this year, down from 143 in 2015. In 2012 Arkansas had 185 people pass the test. Oklahoma, which in 2015 had its lowest pass rate—68.4 percent—in more than a decade, saw that number decline to 67.9 percent this year. The pass rate was 76 percent in 2014 and 80 percent or higher from 2005-13, Arianna Pickard reported in April for Tulsa Business & Legal News. 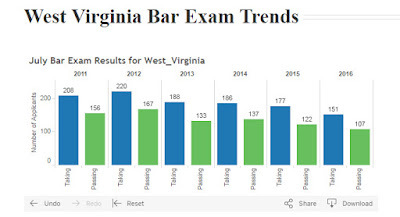 This year the state threw out a "scoring model some believe may have failed prospective lawyers whose performance on the test should have allowed them to pass," Pickard writes. "The Oklahoma Supreme Court ruled March 7 to vacate a scoring model that scaled scores on the essay portion—graded by Oklahoma lawyers—based on results from the multiple-choice section, which is standard across multiple states." The U.S. Department of Justice this week accused Texas officials of purposely misleading voters about the state's controversial voter-ID law, Jordan Rudner reports for The Dallas Morning News. Lawyers for the department say "Texas officials are teaching citizens and poll officials that Texans without photo ID can still cast a ballot, but only if they truly 'cannot' obtain certain forms of ID. In reality, Texans only need to sign a form claiming they have a 'reasonable impediment' to obtaining those forms of ID in order to be allowed to vote." A federal judge will hear arguments on Monday. "The state’s educational campaign makes it seem like only citizens for whom obtaining an ID would be truly impossible are able to vote, when the bar is actually much lower," Rudner writes. Acceptable forms are "a drivers license, handgun license issued by Texas’ Department of Public Safety, an election ID certificate or personal ID card issued by DPS, a military ID, citizenship certificate, or a passport." In July the U.S. Fifth Circuit Court of Appeals ruled that the 2011 law—which stipulates the types of photo identification election officials can and cannot accept at the polls—does not comply with the Voting Rights Act. Last month a federal judge ruled that Texans will not be required to present an ID in order to vote in the November general election. Texas leaders have said they want the U.S Supreme Court to rule on the issue. Republicans favor voter-ID laws, saying they cut down on voter fraud, but Democrats say there is scant evidence of voter impersonation and the laws make voting more difficult for minorities—who are more likely to vote Democratic. In some poverty-stricken, remote, rural areas, food pantries serve as the only source of groceries for some residents. For example, in Northern New Mexico harsh summer rain and snowy winter conditions can make driving 30 miles to the nearest grocery store a dangerous task, Drew Martinez reports for the Rio Grande Sun. Some of these towns are often more than 8,000 feet above sea level and have winding roads that are difficult to traverse. In Rio Arriba County, 12 percent of residents—4,870—suffer food insecurity, Martinez reports. The county has nine food pantries. five of which distribute food at least once a month. Five of the pantries are mobile, helping residents in areas where it is difficult to get to a grocery. 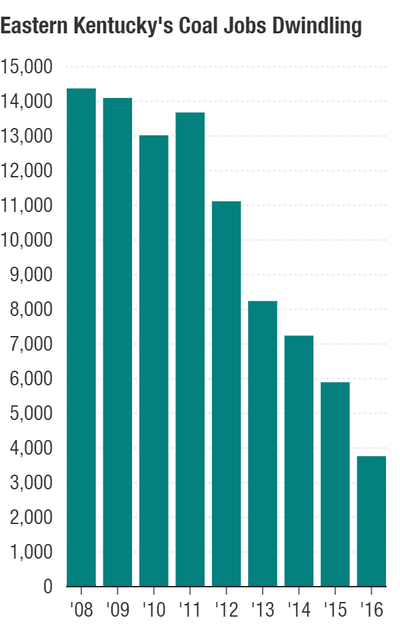 Coal jobs in Kentucky have reached the lowest levels in 118 years. Of the 25 U.S. counties with the biggest coal job losses since 2011, eight are in Kentucky. Eastern Kentucky saw a 21.6 percent decline in coal jobs during the first three months of 2016 and lost another 6.1 percent of coal jobs from April to June, according to the Kentucky Energy and Environment Cabinet. 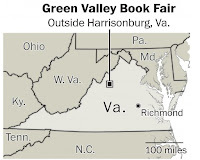 "Green Valley Book Fair opened in 1971 in an old barn that still stands on the property. Owners Leighton and Kathryn Evans initially sold used books, part of Leighton’s huge collection," Lee writes. 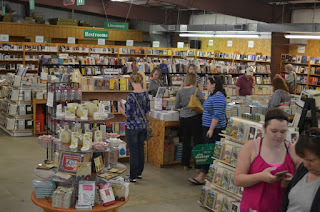 "Today, the old barn has given way to an air-conditioned, 25,000-square-foot, two-building facility that opens six times a year, offering book lovers, teachers and bargain hunters thousands of titles, including cookbooks, literature, gardening, general fiction, history, nonfiction, mystery, science fiction and children’s lit. All the sections are well marked, and there are lots of clerks on hand to offer help." Reagan Neese, the fair's operations supervisor, told Lee, "There’s always a sense of anticipation of what you’ll find here." The store's strategy of six fairs a year has been a great success, Lee writes. "Pins on a wall map of the U.S. show where visitors have come from. All 50 states are represented. Pieces of paper stuck to the side of the map indicate faraway places such as Brazil, Germany, the Marshall Islands and Nigeria." If your state didn't expand Medicaid under federal health reform, that is likely hurting your rural hospitals more than it hurts urban hospitals, says a study by researchers at the University of North Carolina, published in the journal Health Affairs. The study found that "increases in Medicaid revenue were greater among rural hospitals than urban hospitals, and the decrease in the proportion of costs for uncompensated care were greater among urban hospitals than rural hospitals." "After Medicaid expansion, the percentage of total discharges covered by Medicaid increased among rural hospitals in states that expanded Medicaid," the study found. "However, the Medicaid expansion had no effect on uncompensated-care costs or operating margins for rural hospitals. The only reduction in uncompensated-care cost as a result of Medicaid expansion was found among urban hospitals in expansion states." The study looked at how many Medicaid patients are discharged, levels of uncompensated care, and how well the institutions did financially. It examined more than 14,000 annual cost reports from January 2011 to December 2014, one year after eligible states could have expanded their Medicaid programs, Luthra writes. "In states expanding Medicaid, rural hospitals saw a greater increase in Medicaid revenue than urban hospitals did," Luthra writes. "City-based facilities save a higher percentage than rural hospitals with the reduction in uncompensated care, though that change did not translate into improved operating margins for urban hospitals." One likely factor is that rural hospitals serve more low-income people—who weren’t eligible for insurance before expansion, but have since been covered. Rural hospitals also are historically more likely to operate at a loss than urban hospitals. Farmland that is sitting idle—typically because aging farmers have no one to use or take it—is losing agricultural status in New Mexico, and landowners are being hit with large tax bills, J.R. Logan reports for The Taos News. Property that was once used for agriculture, even if it isn't anymore, has long enjoyed tax breaks in most states. 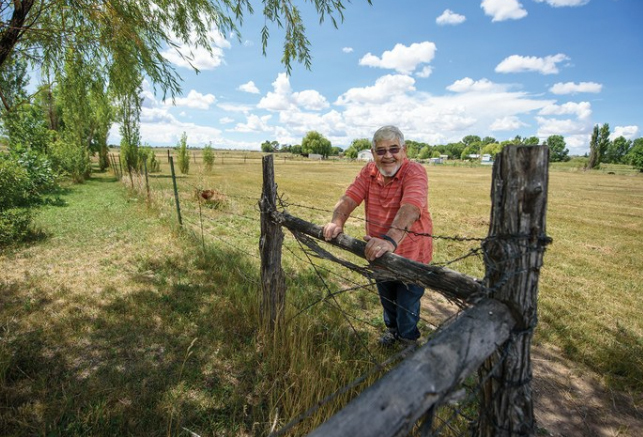 But in 2013 the Taos County assessor's office began cracking down on idle farmland, finding that about half of the 1,000 parcels it inspected were no longer in production. That led many landowners to lose farm status, leading to tax bills going up an average of 143-fold. "As the reassessment continues, many locals fear that jacking up taxes on arable land will force longtime owners off their land," Logan writes. "If that land, once sold, is subsequently developed rather than farmed, it could spell the end of a centuries-old farming tradition that's at the center of the region's cultural identity." "The trend isn't unique to New Mexico," Logan writes. "Across the West, old farm and ranch owners have been pushed out as development overtakes rural areas. But some states have taken steps to protect farmland—even unproductive properties—from development." A Colorado entrepreneur is using locally sourced materials, such as Rocky Mountain sheep wool, to manufacture clothing in small micro-factories in rural communities, Hari Sreenivasan reports for PBS NewsHour. Former Microsoft manager Dan English founded Voormi with the goal of returning textile jobs to rural America by making clothes made for recreation in harsh conditions in rural areas that experience those conditions. English said Vroomi was based in Pagosa Springs, Colo. (Best Places map), a mountain town of less than 2,000, "so products could be sewn in the morning and tested in the afternoon," Sreenivasan reports. English told him, "What we hope to do is provide an industry in small rural towns that allow people to live here, play here, and work here without having to have multiple jobs throughout the year." English compares Vroomi's strategy to that of craft brewing, Sreenivasan reports. English said, "We like to think, if we can take a small batch mentality and turn things quicker, that consumers want new, fresh things on a regular basis." English has three manufacturing sites and hopes to have as many as 10, each with eight to 10 people sewing, throughout Colorado. 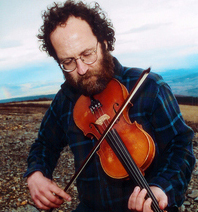 The Pagosa Springs Sun published a profile of Vroomi in 2013. To see the profile click here. Veteran Chris Bowyer guards a grow. 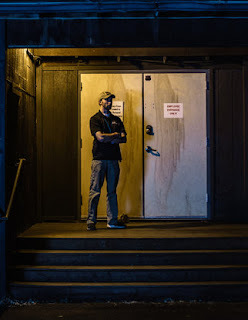 A booming business in Colorado is connecting military veterans with jobs protecting legal marijuana businesses, Julie Turkewitz reports for The New York Times. More than 200 young veterans have taken jobs as security for Colorado's cannabis industry—legal in the state since 2014, but not under federal law. "They spend their days and nights in urban marijuana shops and suburban warehouses and on rural farms, warding off the burglars who have become hallmarks of this cash-heavy, high-value business." "For some, a cannabis security job is a way station toward the police department or law school," Turkewitz writes. "For others, though, it is a vocation with purpose, a union of two outsider groups leaning on each other in a nation uncertain about how to accept them." The cannabis handles lots of cash "because the federal government considers marijuana illegal" and many banks won’t work with producers and buyers, Turkewitz writes. With 978 marijuana-shop licenses and 1,393 growing licenses in Colorado. that's a lot of untraceable cash floating around. Making all that cash more enticing to criminals is that "a pound of marijuana worth $2,000 in Colorado can be sold for $4,000 or $6,000 across state lines." 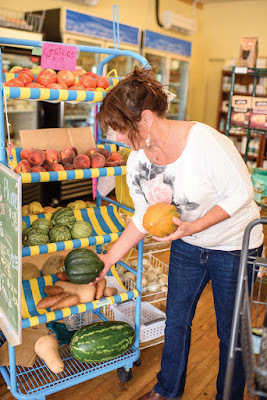 The community-owned grocery in Walsh, Colo.
A pair of rural Colorado towns have created models for success that could serve similar areas facing a food desert, Leah Todd reports for High Country News. When the only grocery store in Walsh, Colo., closed 10 years ago, "the town’s 600 residents, suddenly facing a 40-mile round trip for food," pooled their money and reopened the local grocery store as a community-owned store, Todd reports. Not only is the store turning a profit, but a $160,000 loan used to restock and remodel the store is nearly paid off, Todd writes. Walsh’s grocery is thriving, "thanks in large part to meticulous inventory management. (Think mark-ups, though still within reason, for coveted fresh produce, and steep discounts for staples like milk.) The store’s profits fold back into the business, which has 18 mostly part-time employees." How creative are people in your state? The National Endowment for the Arts conducted a pair of surveys, in partnership with the U.S. Census Bureau, asking adults if they attended events, read literature, personally performed or created art, or consumed art via electronic media at least once during a 12-month period. Overall, 66 percent of respondents said they attended visual or performing arts events or went to the movies in 2015, 43 percent read literature in 2015, 45 percent performed or created art in 2014 and 61 percent said they consumed art via electronic media in 2012. NEA analysis credits this to attained levels of higher education, Ingraham writes. 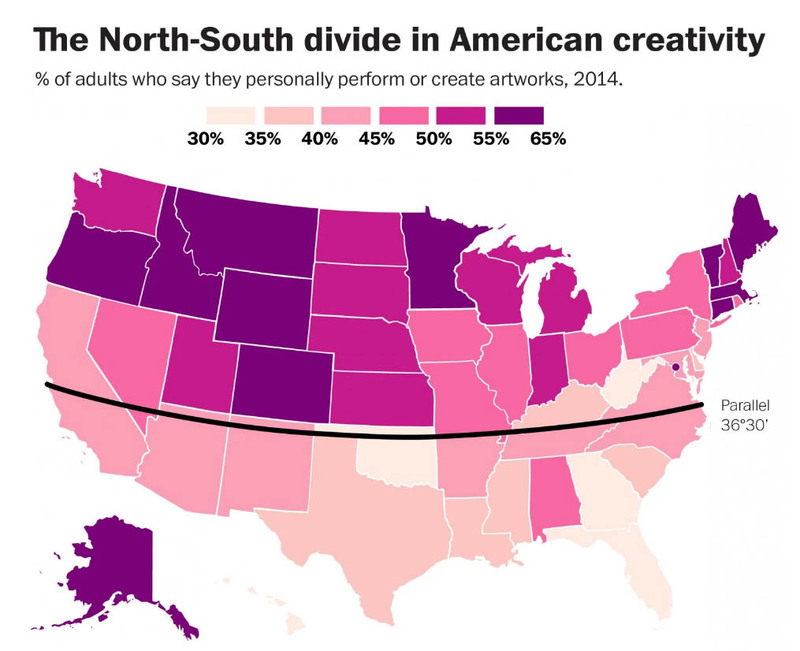 "The percent of state residents with a bachelor's degree or higher is positively correlated with creating artwork: in other words, more education, more art. Conversely, poverty rates are a strong negative driver of arts participation. If you're working three minimum wage jobs, you're probably not going to have a lot of time to indulge in crochet or creative writing." "Of course, education and poverty are big drivers of each other, too," Ingraham writes. "States with more money can spend more on better education, which leads to higher wages, which leads to more education, in an ongoing virtuous cycle. Unfortunately, the reverse holds true as well." Two new metallurgical-coal mines are scheduled to open next year in Appalachia, the region hit hardest by mine closures, Mead Gruver reports for The Associated Press. Backed by a $90 million investment from Kentucky-based Ramaco Development, the mines in Virginia and West Virginia will produce hot-burning coal used in steelmaking and are expected to create about 400 jobs. Coal-mining employment, largely a function of coal mined for power plants, dropped 6.3 percent in the second quarter of 2016 and has declined 45.6 percent since the end of 2011. 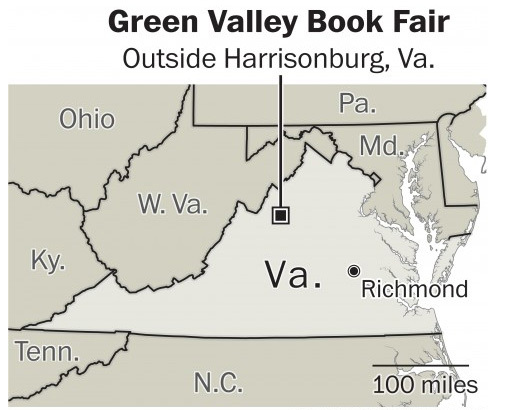 "The Elk Creek Mine in southern West Virginia and the Berwind Mine spanning the boundary between southern West Virginia and Virginia will be operational for around 17 years," Gruver writes. Ramaco Development CEO Randall Atkins said "the company plans to begin talking with potential buyers in the next few weeks and could begin shipping coal under supply agreements in 2018." 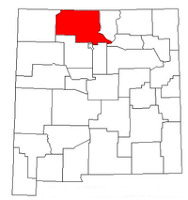 "Ramaco also has been seeking to open a mine in northern Wyoming that would supply coal to power plants for generating electricity," Gruver writes. "The Brook Mine proposal has been challenged in court by another company claiming surface ownership rights in the area but the mine faces no significant regulatory obstacles yet." Loretta Mester, president of the Federal Reserve Bank of Cleveland, recently visited Kentucky to examine economic challenges facing the Appalachian region hurt by the loss of coal jobs. Mester visited Hazard Community and Technical College to learn about a program that helps displaced coal miners. She then traveled to Lexington to talk about how leadership and collaboration, a skilled workforce and infrastructure can help the region transition economically. 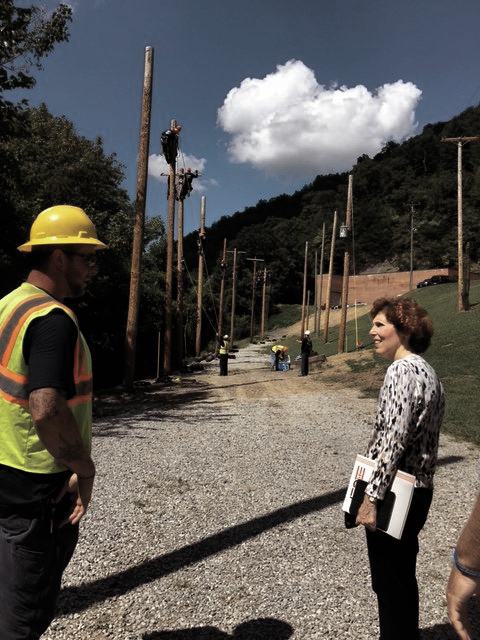 Mester traveled to Hazard to learn about an electrical lineman and fiber optic training course, part of Eastern Kentucky Concentrated Employment’s Hiring Our Miners Everyday (HOME) initiative, Sam Neace reports for The Hazard Herald. To read a full transcript of Mester's speech in Lexington click here. 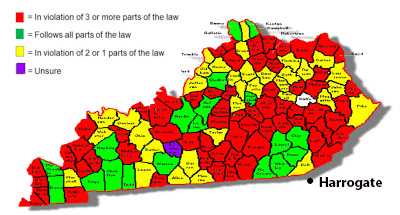 The bank did a four part series examining Eastern Kentucky's economy; to read it, click here. An Idaho family hopes the death of their son prompts the state to improve psychiatric-commitment laws, which are difficult to implement in rural areas, Audrey Dutton reports for the Idaho Statesman. Her object example is Nigel Youngberg, who suffered from bipolar and schizoaffective disorders, died in April "after wandering the hills of Gem County (Wikipedia map) in a bathrobe, windbreaker and tennis shoes. His parents and siblings say his death could have been avoided if police had heeded their requests to take him into custody and get him to a hospital earlier in the week, as his psychosis worsened." One problem, said Emmett Police Chief Gary Scheihing, is that Idaho’s psychiatric commitment laws "are vague, subjective and taxing to carry out in rural communities," Dutton writes. Another problem is that law enforcement officers "lack mental health training but are expected to act as first responders in a crisis, when it can be hard to tell violent psychosis from garden-variety criminal behavior." Either way, Gem County Sheriff Chuck Rolland said Youngberg "did not meet the criteria to be taken to a hospital." The county prosecutor said the state's mental health system faces "a lack of funding and, especially in rural areas, a scarcity of psychiatrists and other mental health professionals," Dutton writes. 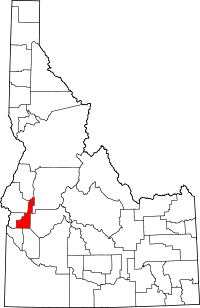 Idaho has 174 psychiatric beds, or 10.5 per every 100,000 residents, reports Michael Ollove for Stateline. The national average is 11.7 per every 100,000 residents. "Across the country, a critical shortage of state psychiatric beds is forcing mentally ill patients with severe symptoms to be held in emergency rooms, hospitals and jails while they wait for a bed, sometimes for weeks, Ollove reports. serves Montrose, Delta and environs. A Colorado rural electric cooperative is in a battle with its power supplier that "could remove a major barrier to small-scale renewable energy in rural areas," Cally Carswell reports for Inside Energy. The Delta-Montrose Electric Association is one of 43 rural utilities in four states that buy power from the Tri-State Generation and Transmission Association, which co-ops created "because none of them could afford to build big power plants on their own." DMEA's contract with Tri-State, which runs through 2040, commits it to buy 95 percent of its power from Tri-State, Carswell writes. "Much of that power comes from large, centralized power plants, often fired with coal. The co-ops are allowed to generate the other 5 percent of their own. The contracts ensure that each co-op pays its fair share of fixed costs—for maintaining transmission lines, or paying off power plants. If one co-op buys less from Tri-State, thereby reducing its revenues, other members will have to make up the difference. Their costs could rise." DMEA members, who "believe local power generation is key to keeping rates low in the long-run," last year went to the Federal Energy Regulatory Commission "to ask if they could buy more than 5 percent of their power from local sources, despite their contract. FERC said they could. In fact, a federal law called the Public Utilities Regulatory Policies Act of 1978 required it to. The law, passed during the 1970s' energy crisis, was intended to promote small-scale renewable energy development." Co-ops are generally more dependent on coal than other electric utilities. Tri-State wasn’t happy about the decision and attempted "to recoup costs by charging co-ops like DMEA for buying more local power," Carswell. "In June, FERC rejected the request. Tri-State is appealing, with support from a number of the other co-ops it serves, which worry about rising costs." Kevin Brehm of the Rocky Mountain Institute "said the ruling could effectively lift local generation caps for rural co-ops." On a side note, Tri-State announced on Thursday that two coal-fired plants that serve four co-ops in southern and western Colorado will close to reduce carbon-dioxide emissions by up to four million tons a year, Matt Hildner reports for The Pueblo Chieftain. It will lead to the shutdown of 527 megawatts of coal-fired power generation on the Western Slope of the Rocky Mountains, with one mine expected to shutter by 2022 and the other by 2025. Some residents in coal-depleted counties in Eastern Kentucky say the key to boosting the local economy is entrepreneurship, Jim Zarroli reports for NPR. Eastern Kentucky has fewer than 4,000 coal mining jobs, down from nearly 14,000 in 2011, according to the Kentucky Energy and Environment Cabinet. While some hope that coal makes a comeback, economists say that's unlikely. Many locals believe enticing manufacturing jobs to the region is the way to keep large masses of people from moving away to find work elsewhere, Zarroli reports. Not Joel Brashear, community outreach officer at Hyden Citizens Bank in remote Leslie County. He says the answer to the area's troubles is "to encourage entrepreneurialism, by showing people how to start businesses that will be more likely to stay in the area." Brashear told Zarroli, "I don't know for sure if coal will ever come back. Everybody hopes that it does. But we have to find other opportunities and other places for employment, and if we don't we're going to have some serious issues." Steps already have been made to teach former coal miners new careers. There's been an effort to teach displaced coal miners computer coding. Other ideas include farming and the growing teleworks field. Also, many young people have begun returning home to start small businesses. Also, local colleges and employment agencies have made efforts to create programs designed for former coal miners looking for new careers. A state plan, Kentucky Wired, is focusing on bringing broadband to underserved areas, with a concentrated effort on Eastern Kentucky. Shelters were given high marks for providing food, water, lighting, protection from weather and maintaining records. Most shelters were open 24 hours, posted hours and provided proper heat and ventilation. While 80 percent provided adequate space for animals, overcapacity was a problem, with 73 percent not having adequately sized shelters. Also, 42 percent lacked quarantine areas, 23 percent failed to accommodate cats, 37 percent of cat areas were deemed poor quality and 82 percent didn't have areas for large animals or livestock. Researchers found the biggest problems were lack of funding and education and an inconsistent volunteer and workforce. Also, a lack of spray/neuter programs, cat overpopulation and low local adoption rates. Many facilities also were found to be in inadequate shape, with obvious signs of mold and one shelter that used a laundry room for overflow space, with a door that had been chewed by a dog and not fixed or replaced. Other problems were: a lack of veterinarian care; no safe area for puppies; unclean conditions; and unsafe night drop-offs. The nation's smallest state, where farms tend to be small, is starting a program to "buy agricultural land threatened with development, protect it through a deed restriction and then resell it at a steep discount to young or beginning farmers who wouldn’t be able to afford it otherwise," Alex Kuffner reports for The Providence Journal. Rhode Island has the highest percentage of beginning farmers in the nation, according to the federal Census of Agriculture," Kuffner notes. "But the tiny, densely populated state also has some of the most expensive farmland, second only to New Jersey in average value per acre." The state has allocated $3 million for the Farm Acquisition Program, which is expected to start next year under the Department of Environmental Management. Voters authorized the program in a "Clean Water, Open Space and Healthy Communities" bond issue in 2014. "According to the DEM, the state has lost 80 percent of its farmland since 1940, more than anywhere else in the nation over the same period," Kuffner reports. "The DEM has worked hard in recent years to support farming through the Local Agriculture and Seafood Act grant program, which helps small farms expand and aids in setting up training opportunities for farmers," Kuffner writes. It also buys development rights from farmers, "allowing them to retain ownership of their land while protecting it for agricultural use. Over the past three decades, 7,061 acres have been protected from development by the agency." Some other states have similar programs. 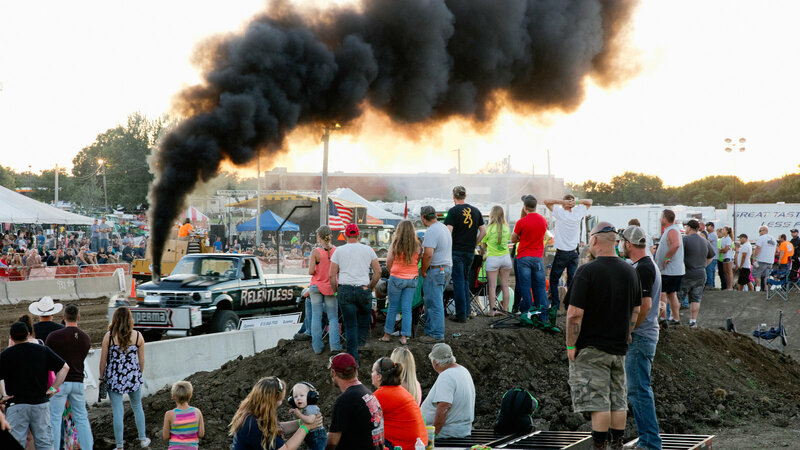 'Rolling coal' began as entertainment at truck shows and pulls. "Rolling coal" truckers, which we reported on more than two years ago, are becoming a public nuisance in some states, as complaints rise and officials seek to enact laws to ban the practice, Hiroko Tabuchi reports for The New York Times. Coal rollers are diesel-truck owners who spend thousands of dollars to alter their rides to produce ever greater amounts of smoke as a form of political protest. Often, they emit the smoke in the direction of eco-friendly cars, cyclists or pedestrians. New Jersey last year became the first state to ban rolling coal, imposing a fine of up to $5,000 on drivers caught doing it, Tabuchi writes. Illinois is considering a similar law, but proposed bans were defeated in Colorado and Maryland. "In Colorado, complaints over diesel smoke have risen 5 percent over the last two years. In California, complaints about smoking vehicles to the California Air Resources Board have jumped from under 700 a month, on average, two years ago to more than 1,000 now." Those who participate in rolling coal call attempts to ban it "the worst of government overreach and environmental activism," Tabuchi writes. Rolling coal was thought to have originated at truck pulls to entertain crowds as harmless entertainment. But some drivers use rolling smoke on the streets, where they spew black columns of smoke that can make it difficult for other drivers to see the road. It's easy to convert a truck for rolling coal; kits are available online, Tabuchi writes. "Anyone who tampers with emissions-control equipment violates the Clean Air Act, which prohibits the selling or installing of any component intended to bypass emissions equipment and carries penalties of up to $2,500." But most states lack laws making rolling smoke illegal, Tabuchi reports. The Newspaper Association of America announced it will change its name to the News Media Alliance, Jim Rutenberg reports for The New York Times. Rutenberg notes that NAA's membership has dropped from 2,700 in 2008 to 2,000 today, but the drop in membership doesn't mean there are that many fewer papers, just fewer dues-paying members of a trade group that may be seen as an unnecessary expense in tight times. Some papers that were dailies in 2008 have become weeklies (three or fewer times a week, by industry convention) and the weeklies and small dailies have their own lobby, the National Newspaper Association. Benjamin Mullin of the Poynter Institute reports that Chavern said in an email: "We are very excited about the new name, brand and programs — just like we are very excited about the future of the news business. The name change doesn't reflect any diminishment of newspaper as a central way for people to get information but, instead, indicates just how many new ways our members are delivering journalism to their communities. The bottom line is that people consume more news than ever—in all forms—and that is the basis for a vibrant and growing news media industry." 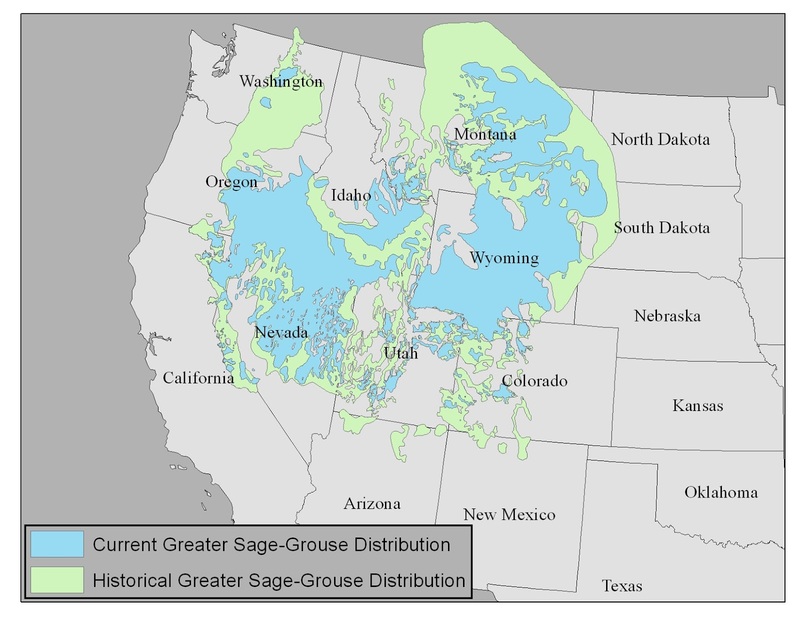 The Obama administration last week "finalized guidance documents outlining exactly how federal land managers will implement provisions in sweeping greater sage grouse conservation plans covering 67 million acres in 10 Western states," Scott Streater reports for Greenwire. The plan was designed to keep the sage grouse from being listed as endangered or threatened, while guiding the Bureau of Land Management on conservation measures "that will affect how livestock grazing, oil and natural gas drilling, mining, renewable energy development and other activities are carried out on federal lands across the West." The guidelines "tell BLM employees who review oil and gas drilling permit applications to start with applications for land outside important sage grouse habitat," reports The Associated Press. "Proposals for drilling on the most sensitive land would be processed last. The guidelines instruct BLM staff to review livestock-grazing permits in the most sensitive areas first, to see if new protections are needed." Some environmental groups welcomed the plans, while others called them "too flexible, too slow to take effect and too focused on making plans instead of taking measures to save the birds," AP reports. 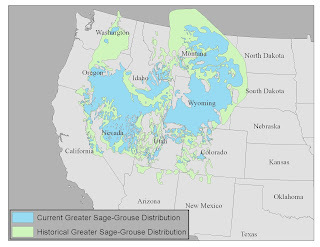 "Kathleen Sgamma of the Western Energy Alliance, an oil and gas industry group, called the priority system arbitrary and said it ignores work companies have done to protect sage grouse." She told AP, “This is another example of draconian federal measures that ignore actual on-the-ground measures that states, counties, landowners and companies are already doing to conserve the species." Where does your county fit in the national trend of rising death rates among the middle-aged? In the latest installment of its series on rising death rates among middle-aged white women, The Washington Post offers a county-by-county, interactive map. 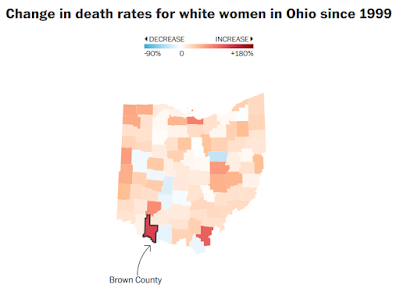 Some of the main factors are suicide, drug abuse and excessive drinking, and "The trend is most powerful in rural areas and smaller cities, where middle-aged white men are also dying more," report the Post's Dan Keating, Kennedy Elliott and Leslie Shapiro. When you go to the story, the Post website may ask you if you want to share your location with it. If you do, it is supposed to automatically display your state map with your county and its data highlighted. If it doesn't, it's easy enough to search for any county. In addition to a map, the site also gives you a graphic that shows where your county ranks among the counties in your state. UPDATED, Sept. 9: The earthquake has been upgraded to 5.8 magnitude, making it the strongest ever in the state and the "strongest in the contiguous 48 states in two years, according to the U.S. Geological Survey," Corey Jones reports for Tulsa World. Oklahoma once had one or two noticeable earthquakes (3.0 magnitude or greater) a year. Now it has hundreds, and Saturday morning it had a quake that tied for the strongest in the state's history, a 5.6-magnitude temblor that damaged a few buildings in Pawnee and was felt in at least eight states. "The quake was so strong in Joplin, people there were worried it was the New Madrid Fault in far eastern Missouri, the site of the United States' strongest earthquake ever, in 1812," John Durkee of Public Radio Tulsa reported. The U.S. Geological Survey has attributed Oklahoma's increased seismic activity to injection wells used to dispose of drilling waste from horizontal hydraulic fracturing, the leading method for producing oil andgas in the U.S. "The quake prompted state oil-and-gas industry regulators to order the shutdown of disposal wells in a more than 700-square-mile area near the quake’s epicenter," Paighten Harkins reported for the Tulsa World. USGS placed the epicenter of the quake eight to nine mikes northwest of Pawnee and about four miles underground. "Preliminary information from the Oklahoma Geological Survey indicates the earthquake was a 'strike-slip event' off the southern edge of the Labette Fault, a major fault that runs through Pawnee and into Osage County," Harkins reported.